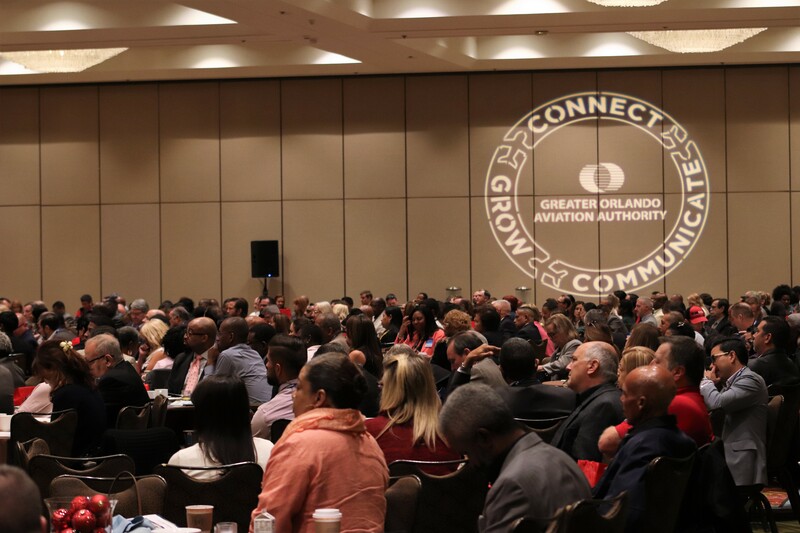 The Central Florida business community gathered at the 14th How to Do Business with the Greater Orlando Aviation Authority (GOAA) meeting held at the Hyatt Regency on International Drive on Dec. 6. 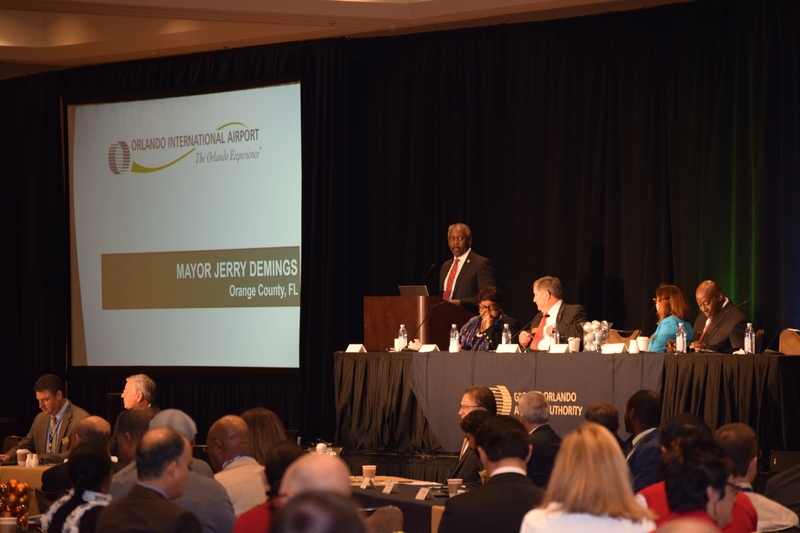 Orange County Mayor Jerry L. Demings was also inducted to the GOAA board of directors at the event. 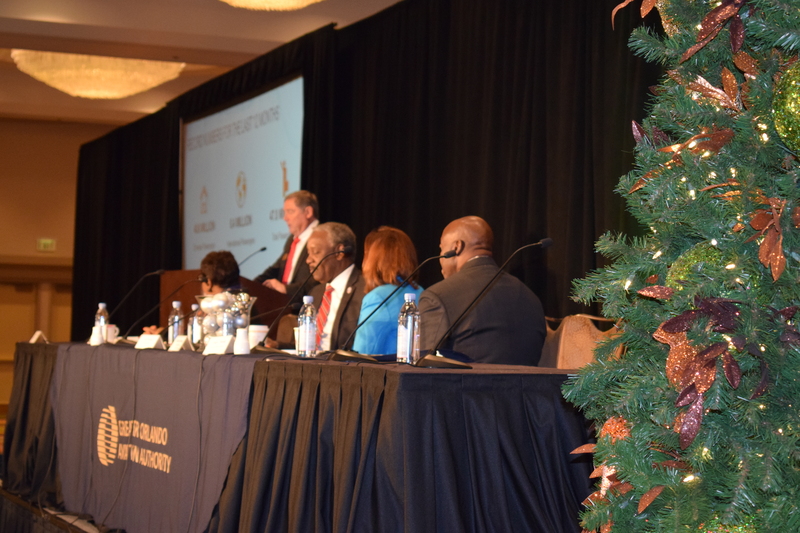 The purpose of the annual, free event is to assist the local small business community with information on how to do business with GOAA, one of the region’s largest economic engines generating over $31 billion in revenue annually. 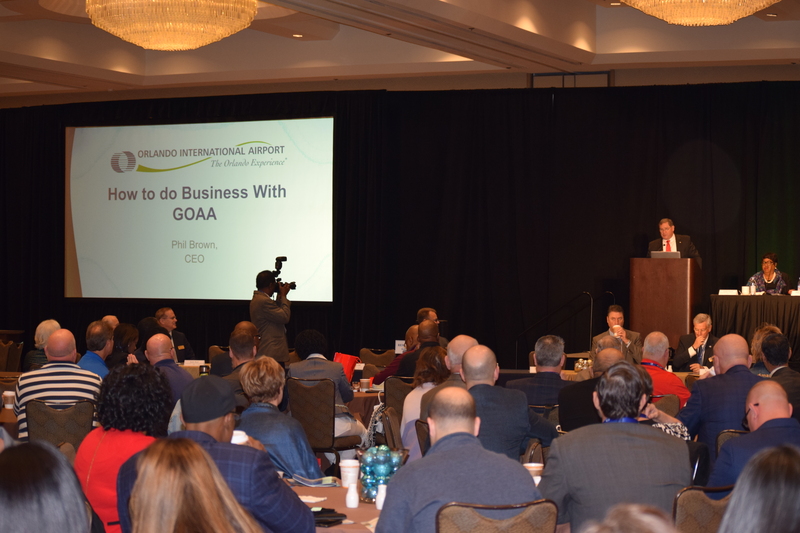 At the event, GOAA staff and experts took 800 local small business leaders through a step-by-step process of doing business with Orlando International and Orlando Executive Airports. 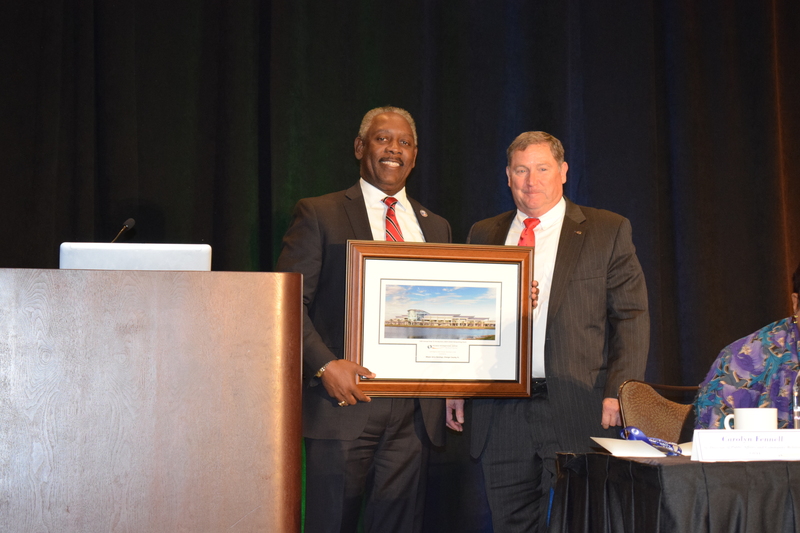 The airport is currently engaged in a $4.2 billion Capital Improvement Program. 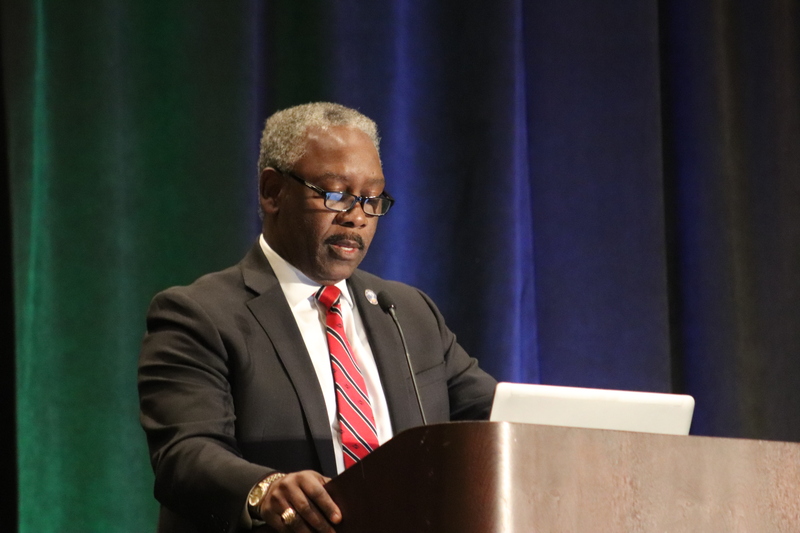 Mayor Demings was the keynote speaker and focused his remarks on his priorities for the business community, carrying over his message of innovation, collaboration and inclusiveness from his Oath of Office remarks on Dec. 4. Orlando International Airport is managed by the Greater Orlando Aviation Authority, which is governed by a seven-member board; the mayor of the City of Orlando, the Mayor of Orange County, and five other members who are appointed by the Governor of the State of Florida, subject to confirmation of the senate. The airport is operated by the Chief Executive Officer, who is appointed by the Authority, and his staff of nearly 800 full-time employees. 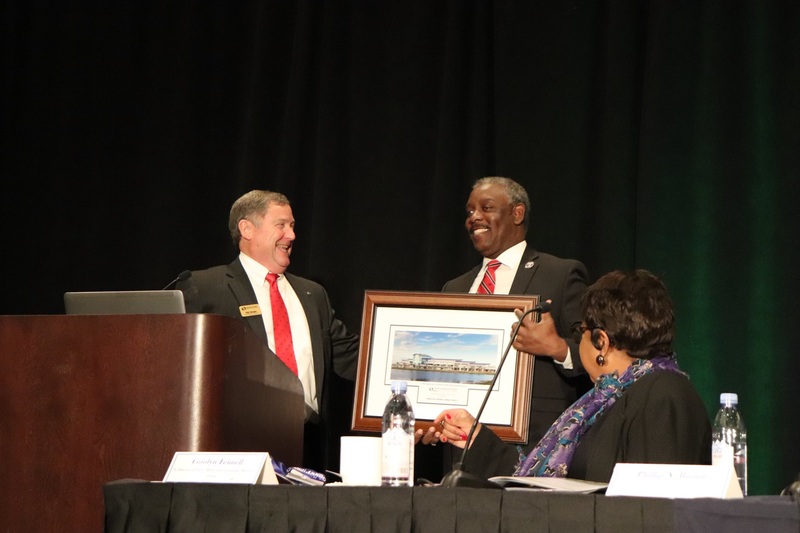 With more than 46 million annual passengers, Orlando International Airport is the busiest airport in Florida and 11th busiest in the U.S.
Photo Caption: Orange County Mayor Jerry L. Demings is inducted to the Greater Orlando Aviation Authority board of directors at the 14th Annual How to Do Business with the Greater Orlando Aviation Authority (GOAA) meeting on Dec. 6, 2018.